We’ve all heard it before, “You can’t teach an old dog new tricks” and while this may not always be the case, when it comes to sustainable living it seems that the majority of the adult population still has trouble adopting effective recycling habits. Despite all the current trends towards sustainable living and clean energy, the EPA (Environmental Protection Agency) estimates that 75% of the American waste stream is recyclable, yet we are only recycling about 30% of it! 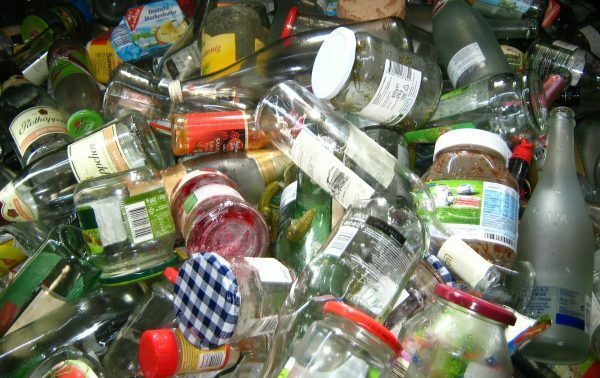 European countries such as Sweden, Germany, and Switzerland are winning the recycling race and on average they’re diverting 65% + with Sweden boasting diversion of 99% of their waste from landfills! Here in North America on the other hand are still struggling to make progress. So why can’t we get it together? Among the strong recycling initiatives and laws these European countries have implemented, they are investing a great deal of resources and time into the most crucial piece of the recycling puzzle: THE CHILDREN! Much of the success in Europe is because compost and recycling rules and procedures are drilled into students beginning at an early age as a part of the curriculum. The fact is if we want to be more successful in diverting our country’s waste from landfills we need to breed the next generation of “Effective Recyclers” where identifying and sorting recyclable and compostable waste is second nature. We need to shift from the 3Rs of recycling and shift towards teaching the CleanRiver approach: The 3Cs: Culture, Communication and Collection. Early exposure to recycling at home is critical. Make sure your recycling and compost bins are near or next to your kitchen waste bin and are easy to see and use. Get in the habit of communicating what you are doing every time you recycle or compost. For example “Banana peels can go in the green compost bin”, so your kids see and know what you are doing and understand the different collection streams. As time goes on, make it a game and quiz them every time you need to toss something. For example ask them “Which bin does the newspaper go in. One of the best ways to instill recycling culture in your kids is to introduce the concept to them via alternate avenues. There are so many great resources including books, videos and games that you can be using to teach your kids about recycling and being mindful. 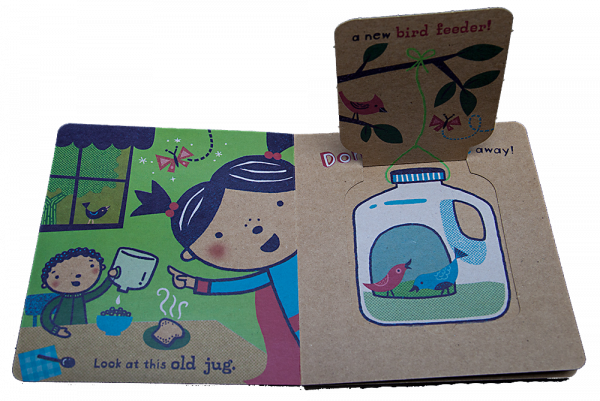 I found a great series of books at my local library: Little Green Books that are Lift a Flap books that are even made from recycled material. My 18 month old just loves the one called “Don’t Throw That Away” with an eco-conscious superhero who teaches kids how to not only recycle but reuse common household items. Also check out “The Adventures of An Aluminum Can” and “I Can Save the Earth”. With youtube videos such as Will It Recycle (featuring a lovable little monkey). For older kids there are also a ton of online interactive games like Keep America Beautiful’s Super Sorter. Every month and/or before garbage day conduct a “waste audit” with your kids. 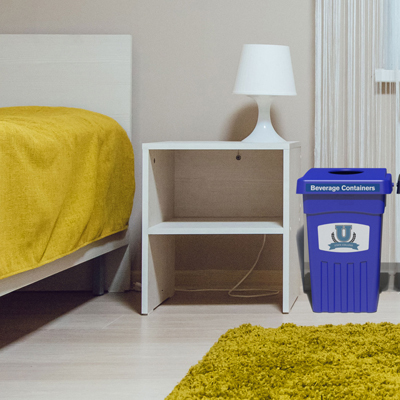 Together empty all waste and recycling bins around your home and identify with them if each waste stream is collecting the right materials. Make them accountable by putting recycling bins in their rooms or even in the washrooms to enforce better waste diversion. Ask them to look in their waste and recycling bins and have them double check that everything that is considered recyclable in your region is in the right bin. 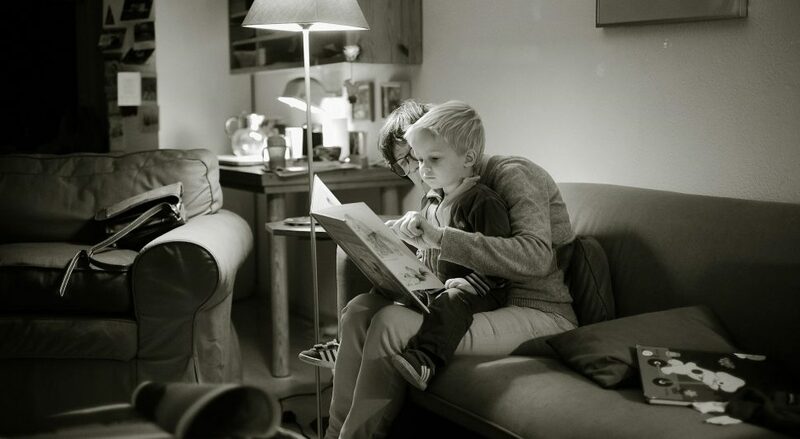 These waste audits can lead to a family discussion and create ideas on areas of improvement and any items that could be reused in the future rather than thrown away. Recycling doesn’t have to be a pain. Teaching our kids how simple waste diversion can be is our responsibility as parents and as citizens of this planet. Let’s follow Europe’s example and be the change we want to see in the world.